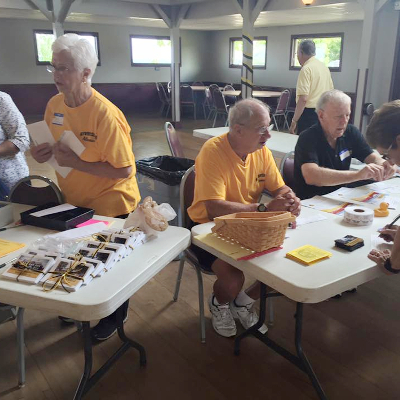 As the Riverside Alumni Association continues to grow, so does its need for more people to help with events and functions. We have a couple of immediate needs for volunteers and committee chairs to help with the Hall of Fame and the awarding of Scholarships. You do not have to be on the board of trustees to be a chair of a committee. The Hall of Fame Selection Committee needs some help this year and will need a chairperson in 2019. We had a record number of nominations this year. We will need help making the choices for this year’s inductions. We need someone to head up the Hall of Fame Banquet Committee. This is a separate committee from the selection committee. We enjoyed our event at Quail Hollow last year and some planning is underway. We will need someone who can help put the special event together. The Scholarship Selection Committee also needs a new chairperson. The association awards as many as four scholarships a year to RHS graduates. Volunteers will read the submission materials and decide on the winners. If you would like to volunteer, fill out this form.